The last harvest of blueberries, dried-up raspberries (should have seen ‘em), golden leaf tree tops on fire but promise something so different, board up the shelter, swim-suits-turned-union-suits, batten down hatches, gitche gumee gales, cue weather radio, we’re next, this is us, winter’s coming. 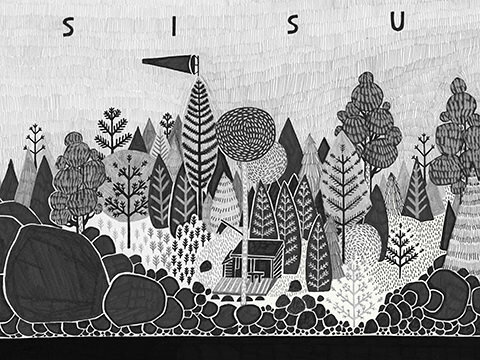 Sisu (Finnish): to have guts, determination, perseverance, will. 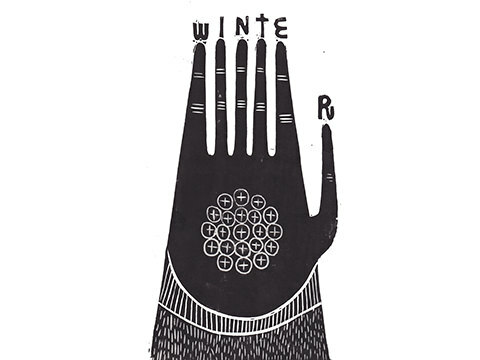 Geoffrey Holstad is an illustrator, hand-letterer, printmaker, creative director, graphic designer, whittler, and optimist.